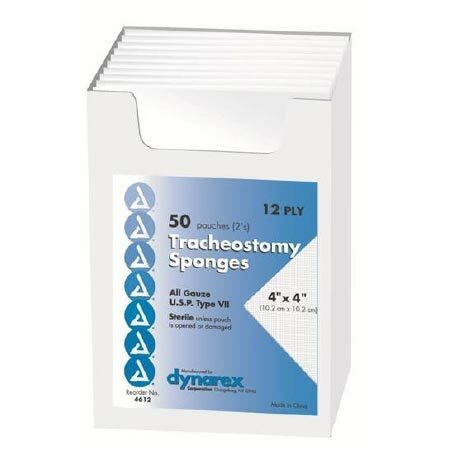 Dynarex Tracheostomy Sponge 4" x 4", 12 Ply Avoids fiber fallout upon opening package. Inverted lock stitch leaves no exposed thread. Non-linting. Avoids fiber fallout upon opening package. Inverted lock stitch leaves no exposed thread.